Notwithstanding my goofy superstition chat yesterday, I am extremely happy with my NaNo performance so far. In fact, I’d have to say that this has been one of the best weeks of my life, writing-wise. Lots of wordcount. Lots of good ideas. For the first time in a long time, I’m feeling in my element. This morning I took a half hour and looked over some of my earlier chapters. Certainly, they’ll need a lot of fixing up. My first drafts are very messy. But I also saw some flashes of–dare I say?–brilliance. At least brilliant by my own standards for my work. I’m relatively hard on myself most of the time, so when I see something I like–especially if I don’t have the slightest idea how it got there–I naturally think it’s an act of genius. 😀 Do you find the same thing with your own writing? But wait! There’s more! I have other business to discuss. Two things, in fact. First, Chris from The Kelworth Files interviewed me yesterday on my NaNo experience. If you haven’t checked out Chris’s blog, you really should. He delivers solid content, day in, day out, as evidenced by this recent roundup post he put up. Second, I received an award. 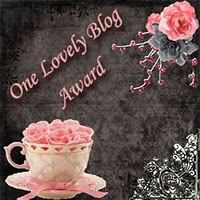 Francesca over at Zap’s Lobster Tank gave me the Lovely Blog Award. Thanks so much Zap! I’m a new follower over at her place, but I’ve been nothing but impressed by her work ethic, style and sense of humor. In fact, she reached her NaNo goal: 90k words in 15 days! Talk about smoking up those pages! These are all really great blogs and you should go check them out. Now. It’s alright. I’ll wait. 😀 Anyway, thanks for stopping in. Enjoy this great classic video and have a totally groovy weekend!! A Daft Scots Lass said, Thank you for the award. I'm so flattered! I certainly do NOT belong in that crowd of awesome writers. Yvonne Osborne said, Thank you for this. Now I've got some new blogs to check out. I know what you mean about writing something and then not knowing how it got there. It's like falling into a trance. When the writing is good, life is good. No, life is Great! Then, of course, the opposite is true. Ride the wave. I'm glad NaNo is inspiring you. There is nothing harder than writing, and nothing that is more rewarding. Thanks again for the awesome award. farawayeyes said, Thanks Jon. I've never received an award before. Appreciate it! Enjoyed this post. I saw 'Fire and Rain' yesterday ,or maybe it was raining fire. Anyway, I pulled the rug out from under my protag ( hit the crisis). Now,I'm procrastinating breaking more hearts and causing some serious carnage. I did cross the 50k mark in NaNo. Proud of that. New goal: finish the first draft by 11/30. I read your interview and linked to your post 'Casting Call'. I am impressed. Your groundwork is massive. 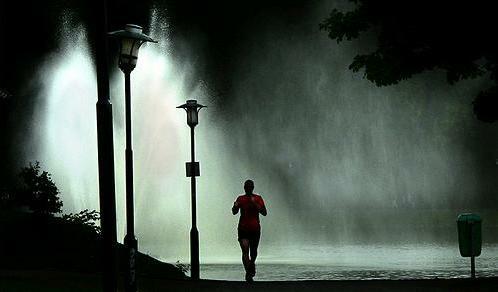 You can't possibly fail. I'll procrastinate a little more while I try to figure out how to 'lift' that award icon and pass it on. I also want to proudly wear it in the margins. Ah, life in the margins. Good luck (sorry,I should not have said that out loud).Keep the tunes coming,they keep me going. Joshua said, Thanks for the award, and some new blogs to follow. Score! WilyBCool said, Thank you very much for the honor! I appreciate it very much. I enjoy your blog and visit it regularly. Claire Hennessy said, Thanks for the award. Best of luck with NaNo and hope your genius gene stays for a while 😉 Nice to find someone else who posts some music. Did you check out the Stereophonics? Alex J. Cavanaugh said, Congratulations on the award. And messy first drafts go with the territory. love Miles, btw and JT. oceangirl said, I enjoyed the Jazz, thank you, but more so thank you for James Taylor. And thank you for the award. All the best in your writing. It is a good feeling to see brilliance and that is what you write for. I am not a writer but that is the motive for any bit of my writing. Thanks again, Jon.